The best stock trading software for beginners is easy to use, simple, and has all of the essentials to jump into the markets headfirst. We spent over 100 hours testing stock trading software from all of the major online brokers, and these are our results. None of these brokers charge any fees to use their software. Ally Invest’s software is simple, easy-to-use, and it gets the job done. Plus, if you need help navigating the platform, customer service runs 24/7 at Ally, so there is always someone to help. Go directly to Ally Invest’s secure site and open an account to use their trading software today. With trades starting at $3.95, you’ll also get the most competitively priced commissions in the entire industry. Go directly to TradeStation’s site and use their platform today. Keep in mind that TradeStation’s platform is so good, they used to charge $120/ month to use it. Now it’s free for all traders. Go directly to Zacks Trade’s site and use their platform today. Zacks Trade offers two platforms, Zacks Trade pro and Zacks Trade web-trader. Both are great trading platforms for options, futures, and stocks. So What is the Best Trading Platform for Beginners? When you take into account fees, customer service, ease-of-use, and accessibility (i.e. 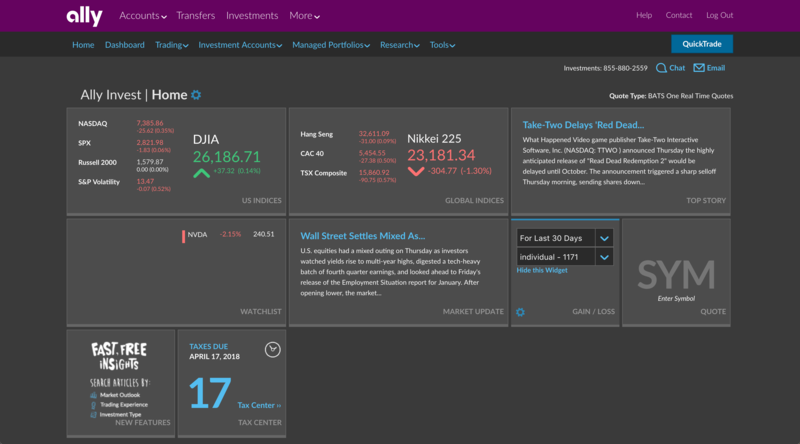 available on all computers), AllyInvest is the clear winner for the best trading platform for beginners. See the full Ally Invest review here. Since TradeStation got rid of their platform fees as part of their re-branding efforts in 2018, TradeStation is also an excellent choice for trading software. See the full TradeStation platform review here. 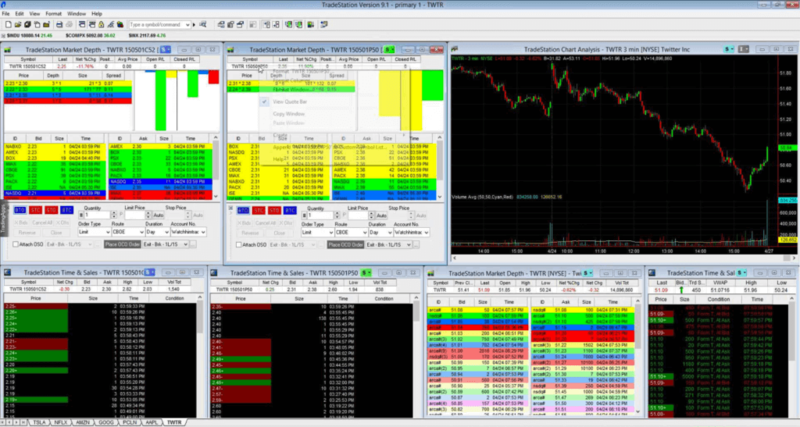 Finally, Zacks Trade offers beginner traders a crack at professional trading software without the huge monthly fees. 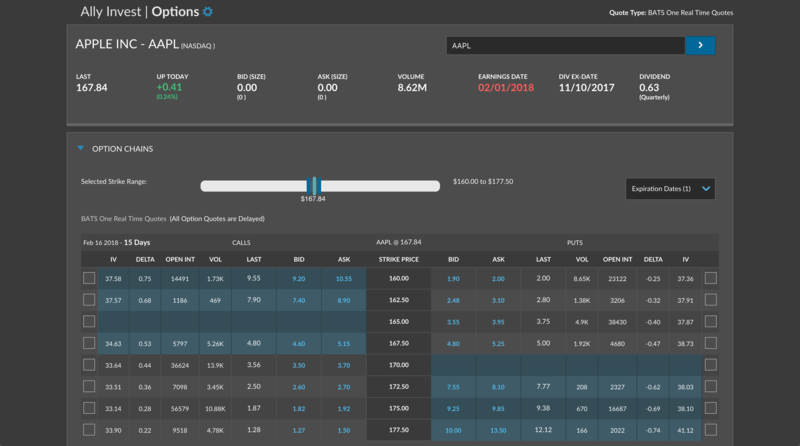 Although the Zacks Trade platform might seem intimidating at first, it is a solid choice for all types of trading. 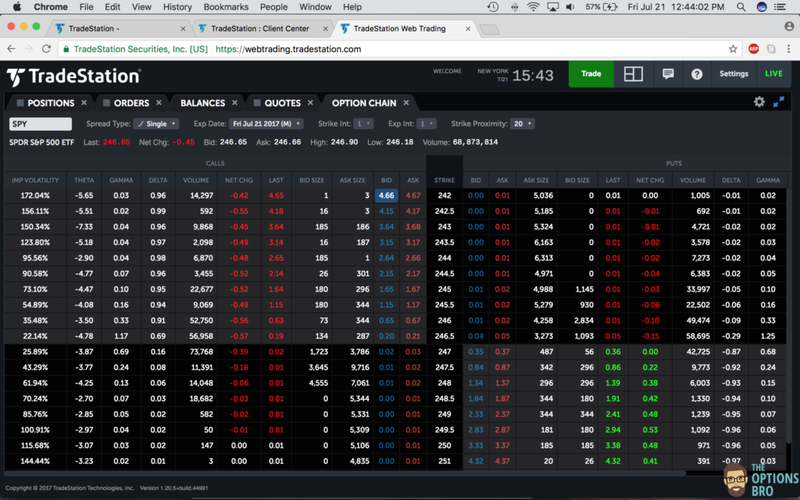 What is Stock Trading Software? Stock trading software is either a downloadable or web-based platform that lets you connect to the stock market. For the most part, all stock trading software is managed by a licensed US broker, which actually facilitates online trading. Most online stock brokers offer trading software at no extra charge. 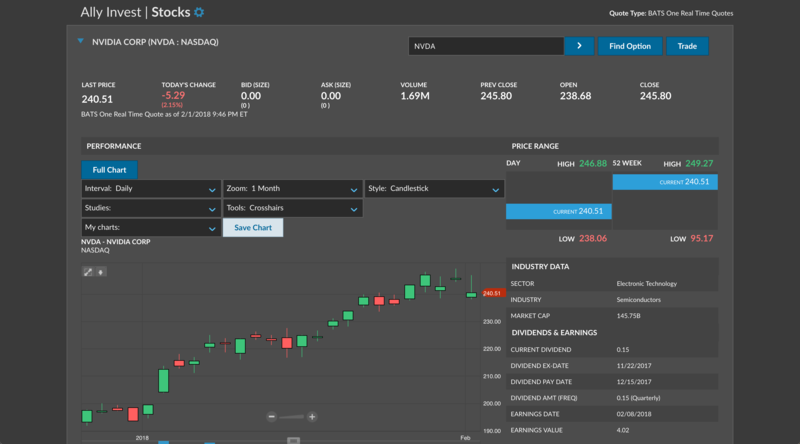 Although there are some third-party trading software companies, using these platforms typically requires a monthly subscription in the range of $150. In our opinion, paying for trading software is not worth it as a retail trader. 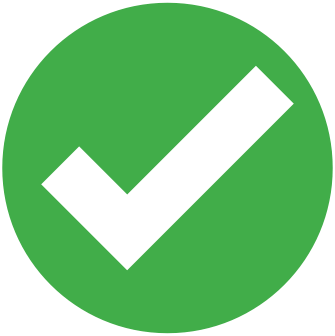 When you open an online brokerage account, you’ll typically have to fill out a questionnaire that asks if you are a professional trader. If you are, you’ll have to pay extra for market data and platforms. This is because the exchanges figured out they could make more money from “professional subscribers” who trade full-time.Even if you’re a very active retail trader, it’s smarter to take advantage of the non-professional status and a few hundred dollars per month. 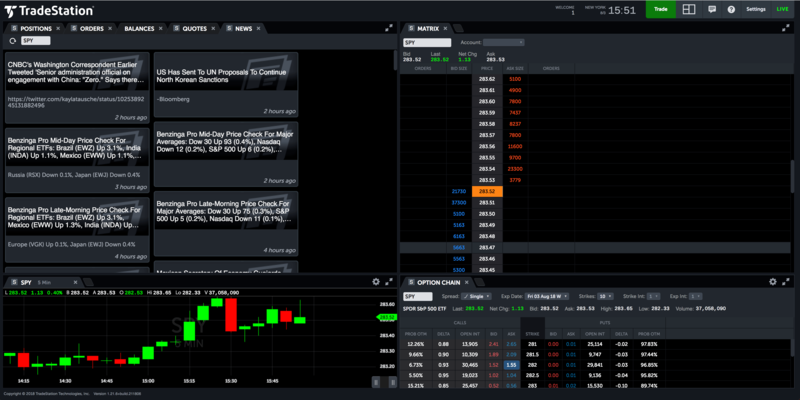 For a while, I had a Bloomberg Terminal subscription ($2,300+ per month) and it was the most difficult trading platform in history to log in to. My finger print scanner never worked, I always forgot my B-Unit login device (a key-fob type device needed to log in, and I had to frequently contact customer support just so I could get on the platform. It goes without saying that this is not an ideal situation. 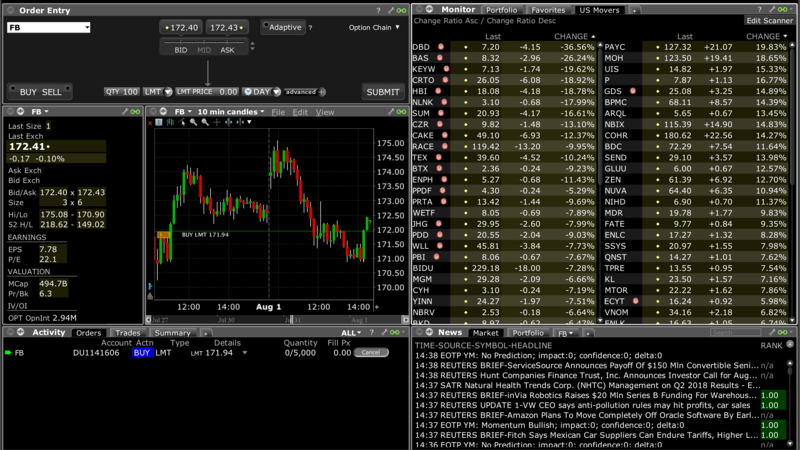 Good trading software needs to be fast and easy to access, especially for beginners. The difficulty logging in to the platform was made worse by the fact that it cost more than $2,000 every month to lease. This situation underscores the importance of key features of the best stock trading software for beginners: free, quick, easy, and capable. In most industries in business, buying better products equates to better results. This is somewhat true with the markets and investing, but only to a certain degree. If the stock trading software that you’re using works, and you can place trades, monitor your positions, search for new trade ideas, etc. why pay extra for software that does the same thing? There are plenty of companies out there waiting to charge you $100+ per month to use their trading software that they say will give you an “edge” in the market. Truth be told, this is highly unlikely, especially for beginners. When we tested Ally’s software, anytime we had a question about how to place a specific order type or how to use a specific tool, like the options analysis tool, we easily connected to customer service via live chat. Ally’s customer service runs 24 hours a day, 7 days a week. If you need help at 4 in the morning, before the market opens, you can get it. This is one of the reasons why Ally has a fantastic trading platform for beginners. Another reason is that Ally’s software is free, robust, comprehensive, and really easy to use. 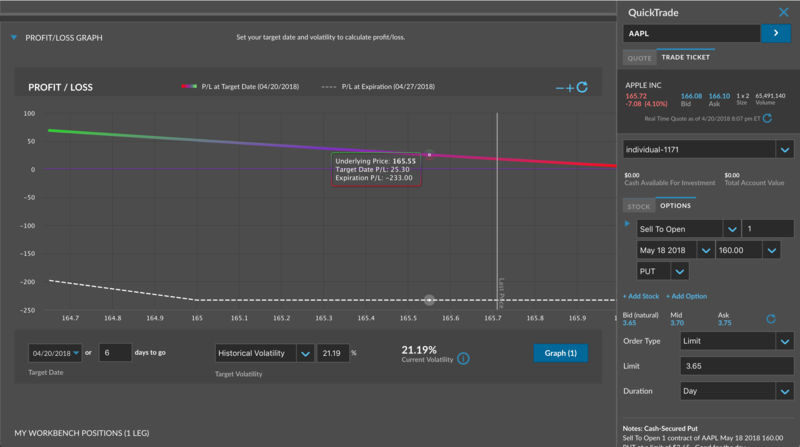 A lot of stock trading software isn’t made for beginners, and we aren’t saying that Ally’s software is made exclusively for beginners, but out of all of the platforms we tested, Ally’s had the shortest learning curve. Stock trading software is the same thing as a trading platform. The two terms can be used interchangeably. A trading platform can sometimes refer to the entire trading setup, i.e. the online broker, the cost of trading, etc. With this said, the best trading platform for beginners will also be the best stock trading software for beginners. 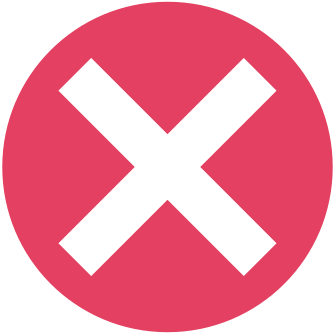 We strongly recommend choosing a platform that doesn’t have inactivity or market data fees, because if you decide trading isn’t for you, you can leave your cash in your account and not worry about silly monthly fees. 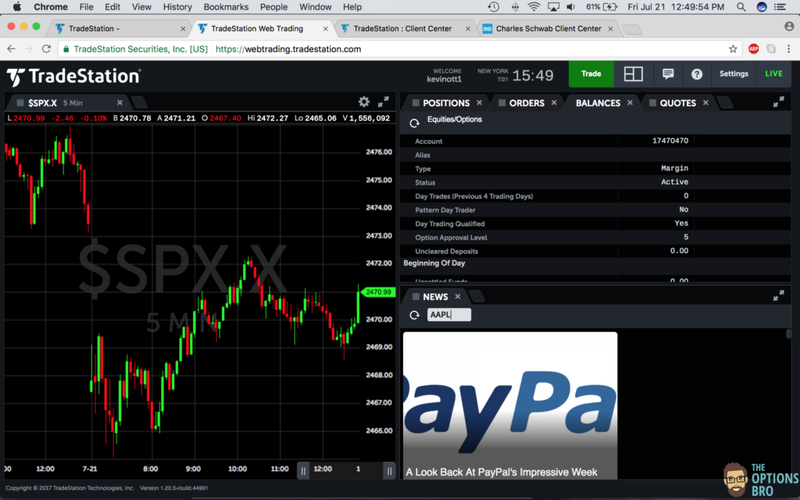 Take a look at this side-by-side comparison of two fantastic trading platforms.